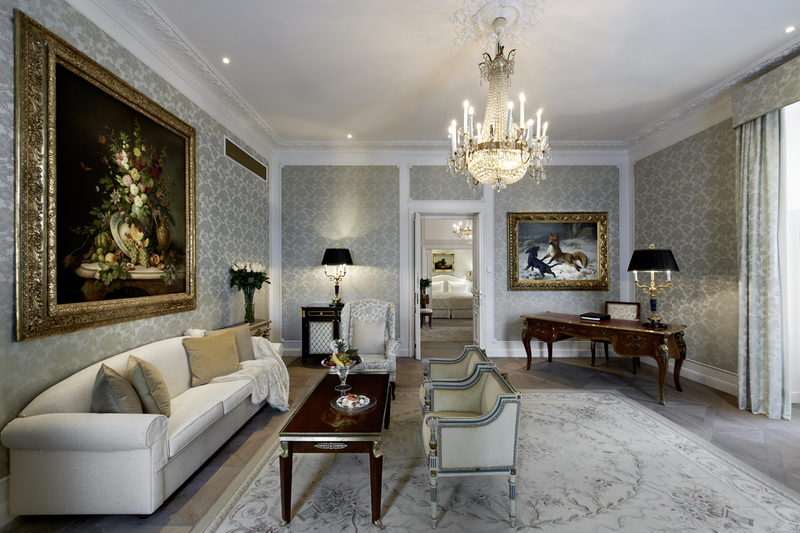 The Hotel Sacher stands for family and tradition. Our Managing Director lives both values. 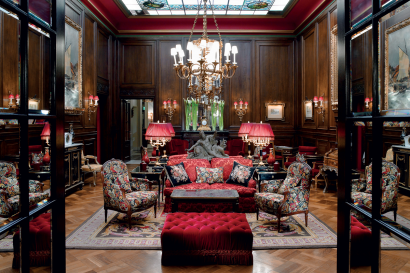 For 30 years now he has been managing the Hotel Sacher in Vienna with passion and has been leading it to more excellence and innovation. 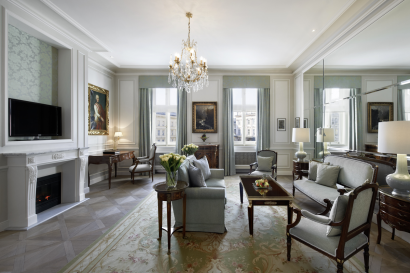 Under his guideline the Hotel Sacher Wien has already received numerous awards. We proudly remember the last 30 years and look into the future with full joy. 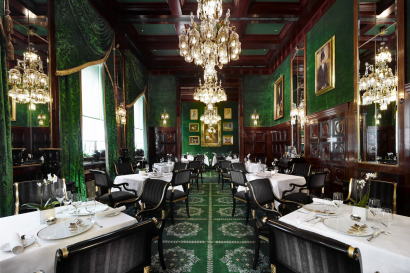 Experience the world of Sacher with us! 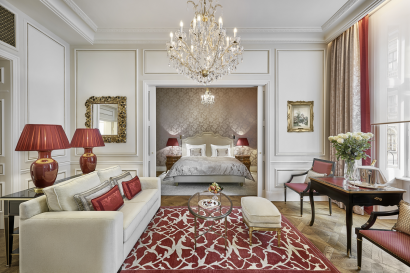 In 1876, the Hotel Sacher Wien was opened by Eduard Sacher, son of the creator of the Original Sacher-Torte and soon achieved worldwide renown as a meeting place for the nobility, international high-society, politicians and artists. 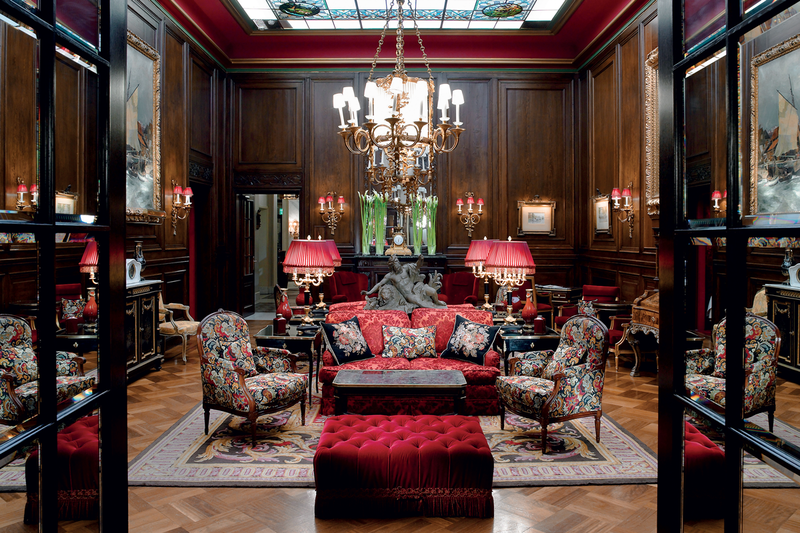 Today, Hotel Sacher is a Viennese institution, comparable to St. Stephan’s Cathedral or the Vienna Boys’ Choir. As the only luxury hotel in Vienna which is privately owned and run, it is important to the families Gürtler and Winkler maintain traditions and keep the unique and personal ambience with the old-world charm of the former Habsburg monarchy. 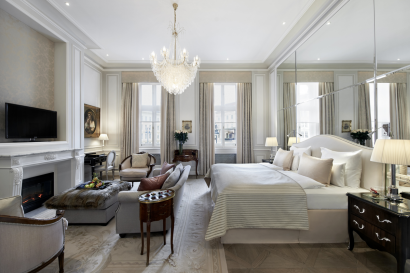 Located directly across the Vienna State Opera and along Vienna’s main elegant pedestrian zone Kärntner Strasse, it is just minutes away from the Imperial Palace with its Spanish Riding School and from all other culturally important attractions. All 150 rooms and suites are individually designed and offer luxury 19th century feel combined with contemporary state-of-the-art comfort. 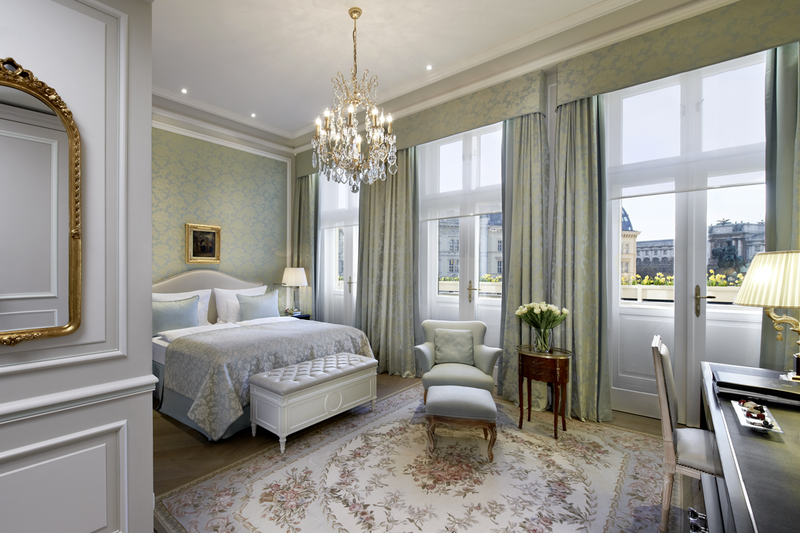 Many rooms and suites provide magnificent views on the Vienna State Opera, Imperial Palace and Albertina Museum – the ones on the top floor even have private terraces overlooking the city. 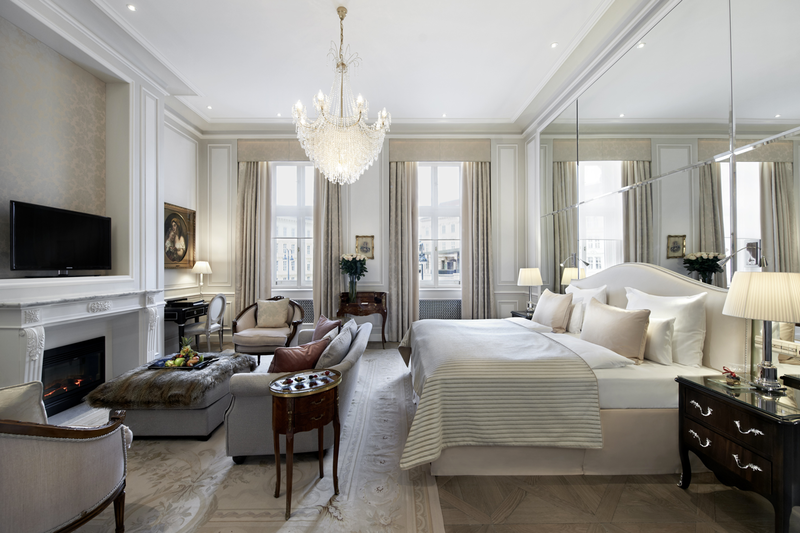 The exclusive Sacher Boutique Spa is located on the fifth floor and features sauna, aroma salt steam room, herbal bath, vital sensory showers, ice fountain and cosy relaxation areas. Treatments can be arranged in private spa suites with product labels of La Prairie and Ligne St. Barth. To indulge your love to chocolate without piling on any pounds, the hotel’s very own „Time-to-Chocolate“ bathroom and spa amenities provide unique experiences. 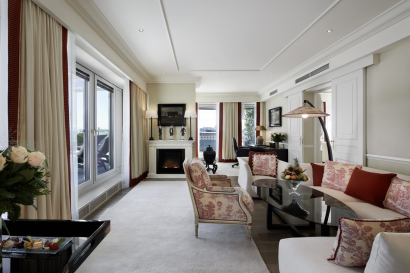 Hotels guests can also enjoy complimentary access to the fitness room. The famous restaurant „Rote Bar“ offers authentic Viennese cuisine with live piano music and Opera views, whilst the fine-dining restaurant „Grüne Bar“ serves creative international dishes in the most unique atmosphere. 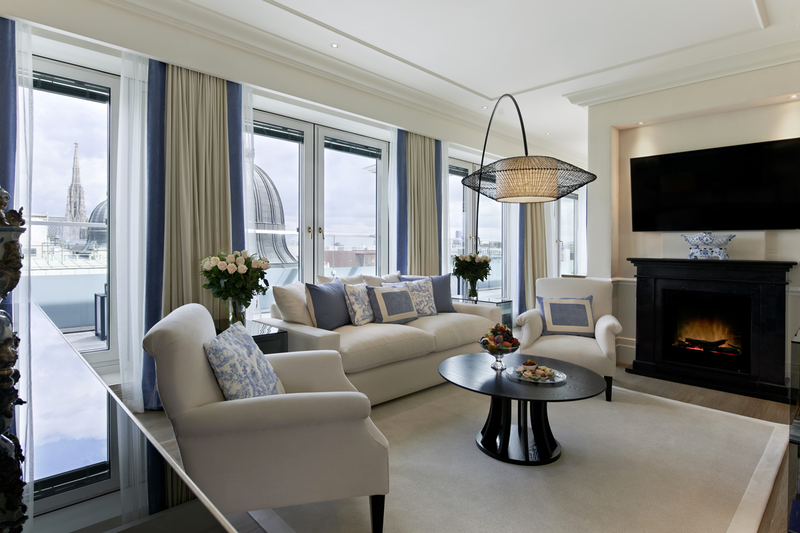 The hotel bar “Blaue Bar” is well known as a sophisticated pre- or post-opera drink hot-spot. 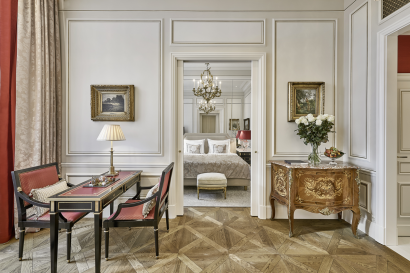 Certainly, hotel guests can also enjoy a piece of the Original Sacher-Torte at the „Café Sacher” or the “Sacher Eck”, which still serves this culinary experience according to the closely guarded hotel recipe of 1832. 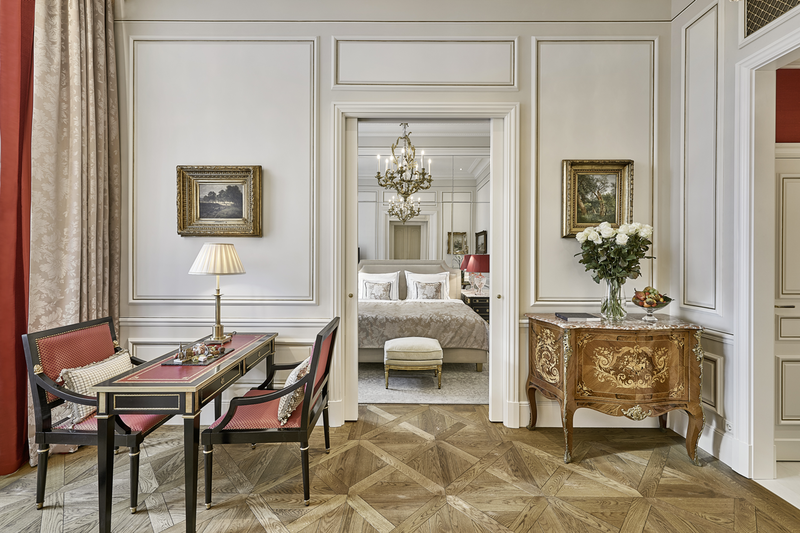 Sacher-in-Motion – A hotel that historic seeks for development from time to time – at least the hotel’s interior and exterior of the hotel, in which its history has been written. 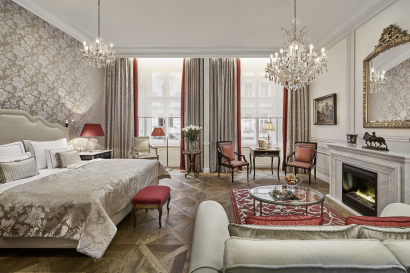 At the Sacher Hotels time never stands still for our guests and we would like to provide the highest possible comfort and conveniences of current times. Latest renovation was a few months ago. The only family-owned and privately run luxury hotel in Vienna provides the most authentic sense of place, where guests can find the home of the piece of Austrian identity – the Original Sacher-Torte. It was 1832 when Prince von Metternich instructed the 16-year-old apprentice Franz Sacher to create a cake for his discerning guests. The sweet masterpiece was to be made with chocolate, apricot jam, and whipped cream. Today, the Original Sacher-Torte stands as one of Vienna’s best-known symbols and – to quote the German daily Süddeutsche Zeitung – “is widely accepted as a currency of interpersonal relationships around the world.” Much like the hotel which the son of the dessert inventor opened years later and which is now one of the most renowned hotels in the world! • Rote Bar (Enjoy traditional Viennese specialities in this elegant and stylish one toque restaurant) You can either sit in the black and white floor-tiled glass conservatory facing the Opera House or in the grand, dark red damask dining room with large oil paintings and crystal chandeliers. The windows of the conservatory are folded away in summer to make a large open terrace. Live piano music in the evenings adds to the ambience. • Grüne Bar (RESTAURANT GRÜNE BAR – Head chef Dominik Stolzer presents his creative and innovative dishes.) “We wanted to transfer Sacher’s philosophy of combining tradition and modern spirit to our two toques cuisine as well. • The legendary Blaue Bar became the pre & post-opera hot spot. 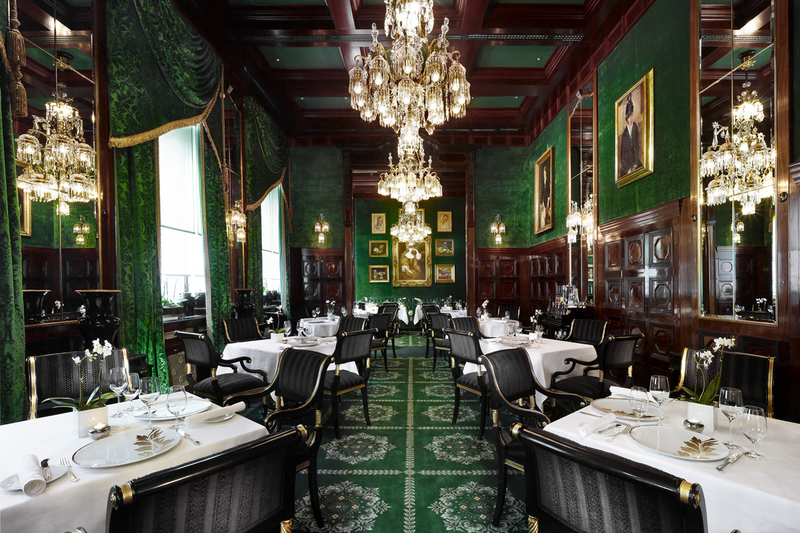 It is richly decorated with dark blue brocade walls, crystal chandeliers and lushly upholstered couches, creating a snug, cosy atmosphere that brings to mind the bohemian, intellectual Vienna of the early twentieth century. 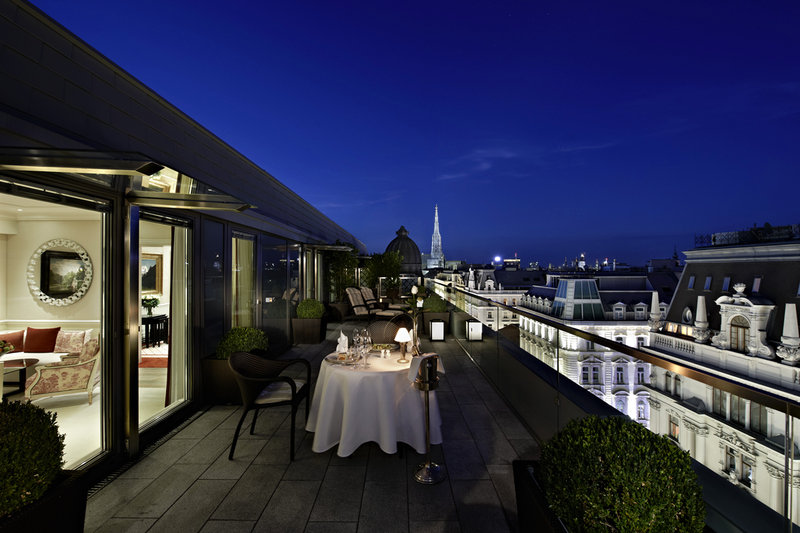 Take some time out to relax and unwind above the rooftops of Vienna and let yourself be pampered by the Sacher Boutique Spa team with a wide selection of fabulous treatments. In addition to the unique Sacher “Time to Chocolate” signature body line, we exclusively offer “The Art of Beauty Five Star Treatments” by La Prairie, the expert for timeless beauty from Switzerland. Treatments with finest cosmetics from the Caribbean by “Ligne St. Barth” as well as decorative cosmetics from the renowned German make-up artist Horst Kirchberger leave nearly nothing to be desired. Our fitness centre features state of the art equipment for an efficient workout. After your training, you can either relax in the Finnish sauna, the salt steam room, the herbal bath. Vienna’s only Boutique Spa offers complete relaxation at the highest level. 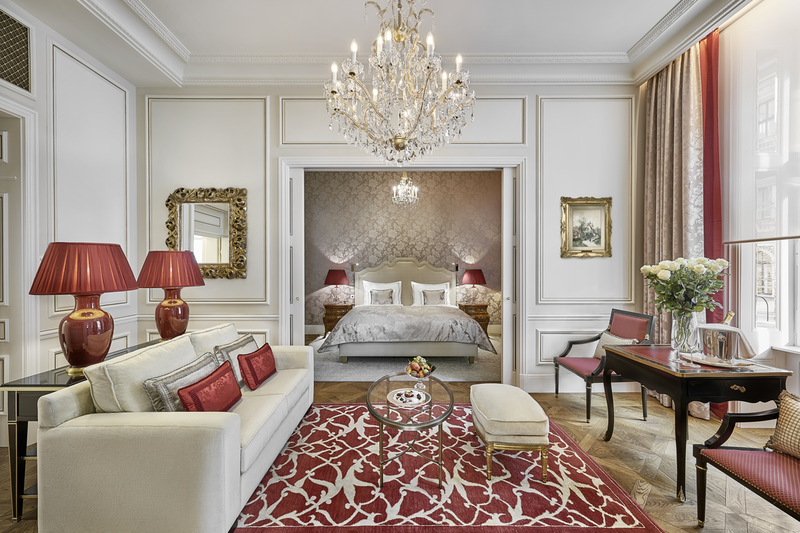 The Hotel Sacher Wien provides the perfect setting for many kinds of event, whether it is a grand wedding or an important business conference. The banquet halls and conference facilities offer an elegant location for your banquets, family events, conferences or any other occasion, supported by every convenience and technological support.